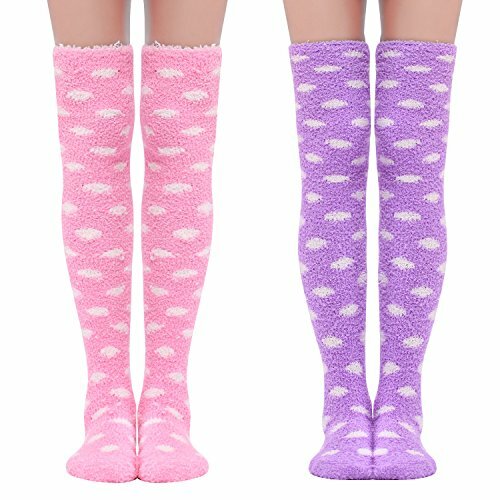 Designed for being cute, Cute romantic polka dot Coral Fleece Thigh High Long Socks are super soft to wear, very stretchy with highly elastic. These socks come with cute colors and polka dot on it, coral fleece "fluffy" material. All the features are for one purpose - being cute! Can be a sweet gift for family members, friends or anyone you love, a perfect Christmas gift and birthday gift. Thigh High Socks with cute dots print. Coral Fleece "fluffy" Material keep legs warm. Length - 21.5inches (55 cm), stretch to 32inches (80cm). If you have any questions about this product by Littleforbig, contact us by completing and submitting the form below. If you are looking for a specif part number, please include it with your message.